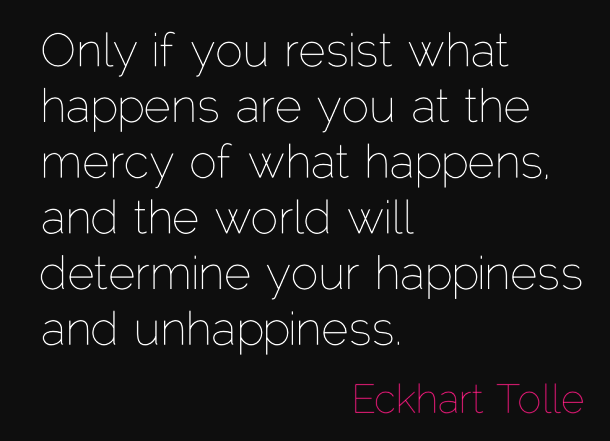 If love is the unconditional acceptance of what is, then fear is the non-acceptance of what is, leading to resistance. Acceptance is powered by love; resistance is powered by fear; it is you that empowers them both. Where there is love, oneness naturally exists; where there is fear, understanding and compassion go missing. Another take on being in the moment, with a quiet mind. Meditation sessions help, but the best meditation is when you practice being mindful as you go about your daily life, with all the buttons that presses. 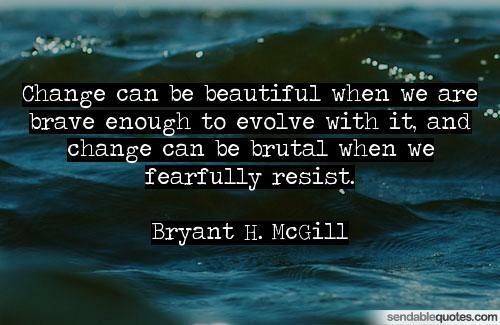 And it's not to suppress the response, it's to simply recognize and accept what actually is, without resistance, and let those fears and resentments just float on down the river of time and out of your life. Many of us believe that we need to keep a tight lid on our emotions. We fear that if we ever allow these emotions to be expressed, they will do harm - the painful ones will be overwhelming to experience or lead us to bad behavior; the positive ones won't last and they'll leave us with a loss, another painful emotion. The only thing that keeps painful or unwanted emotions alive within you over long periods (whether conscious or subconscious) is unwillingness to acknowledge them, experience them, accept them and then let them go. Resistance just leads to persistence. Besides, we're missing out: emotions are the life energy of experience, and when we suppress emotions we also make intuitive knowing inaccessible since both pass through the right brain. 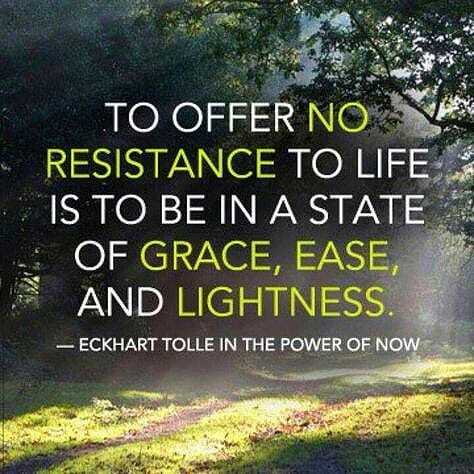 Non-resistance is not passive or weak if it is powered by acceptance... which doesn't mean you necessarily like or agree with what you see, rather you're facing reality without defenses, with no need for emotional resistance and avoidance of communication.